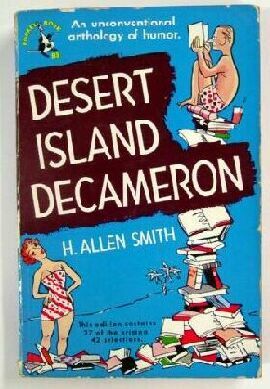 Birthday Present - this short story of Thorne Smith's was actually purchased by Redbook magazine just one week before his untimely death. However, it didn't appear in print in the magazine until four months later when it finally was published in the October 1934 issue. 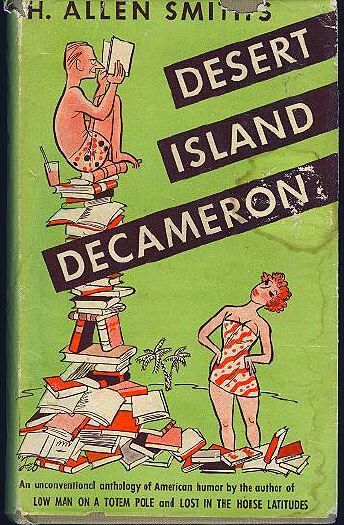 You can also find it reprinted in the excellent collection, Desert Island Decameron, which is well worth the effort to hunt down. Inexpensive copies can usually be found on Ebay, Amazon and the usual online sources. And now the paperback edition, which you'll note is the same image as the hardcover only reversed and with a different background color. Clever art director there! By the way, if you happen across the hardcover edition with the dust jacket, buy it! They are getting tougher and tougher to find nowadays. I do have the original issue of Redbook magazine and will be adding it's cover once I dig it out of my large collection of materials. Trust me, not trying to sound like a braggart. Just have so many boxes of research, notes, videotapes, photocopies, books, newspapers, magazines, etc that I'm going to need a Thorne Smith wing built onto the house. Also checking on the copyright issues to see if it will be possible to make this available here for your reading pleasure. In the meantime, you can find this treat online if you look hard enough but the formatting of it makes it a bit of a chore to read. Check back soon to see if we can make this available to you in an easy to read format.